COMIC BOOK REVIEW: Are You Depressed? 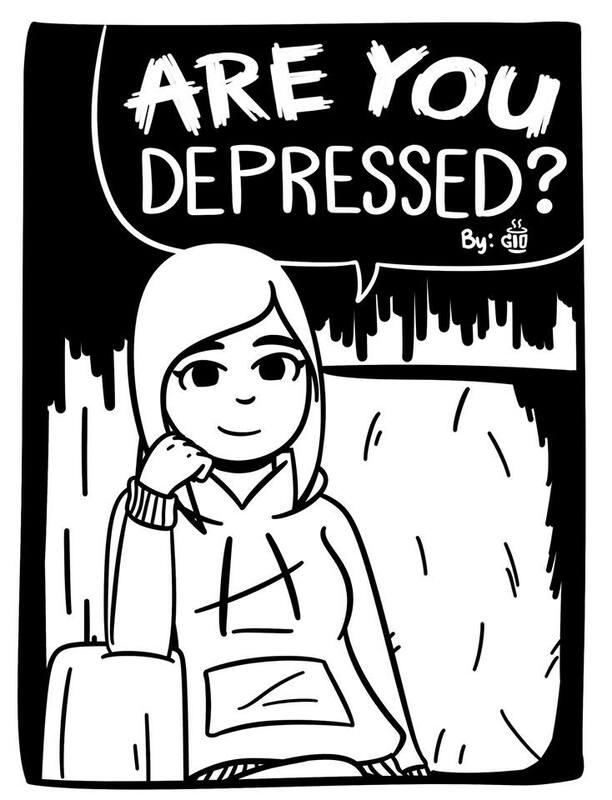 Here is another comic book that we acquired from Komiket 2015, called Are You Depressed? by Gioseppe Custodio. Its main theme is depression, and in this komik it explores the different factors that makes one depressed. Are You Depressed? immediately dives into the point just as you turn the first page. We see the unnamed main character talking to a girl about depression. And as the story progresses, the character struggles with the idea that he’s suffering from depression, and being in denial about it. More character driven than plot, and relies heavily on dialogue as a means to find a resolution to the main problem. Despite the title, Are You Depressed? apparently is not about depression at all. 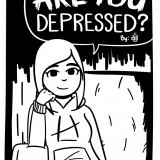 While it explores the different things contributing to it, the komik takes the word depression, which is an extreme word, too lightly. It certainly deals with sadness, but not in the level of depression. The character spends almost the whole time being in denial that by the time things turn around, it bears little payoff. While it is understandable that a komik exploring a serious subject to be dialogue heavy, most of the time it just does not work here. The dialogue is forced and does not sound natural, especially coming from what I assume is a teenage character. As a result, it doesn’t sound believable, and both characters actually come off annoying. Having a relatable character is a crucial aspect of a character-driven story. On the bright side, the art style looks very similar to Bryan Lee O’Malley’s, which comes as no surprise considering Custodio lists him as inspiration in the credits. Storytelling is smooth going from panel to panel. And furthermore, the faces are very expressive in spite of the cartoonish and simple art style. Are You Depressed? tries to study the different aspects of one’s life that makes a person depressed. The right set-up is already in place but the execution for the rest of the story just isn’t up to par. However, the art is easy and pleasant on the eyes. It is a treat for Bryan Lee O’Malley fans.